Much has been written about repurposing abandoned big box structures over the years since the recession. Many opportunities have been considered by investors, landlords and developers across the country to try to revitalize these empty buildings and their surroundings. While the quick and (seemingly) simple solution is to just replace one big box store with another, to swap an abandoned Kmart for a bustling Target, the real opportunity may come from turning these spaces into something entirely new. Many developers have found great success transforming an empty big box space into a community-focused endeavor like a museum or school. Take the McAllen Main Library in Texas, for example. What used to be an abandoned Walmart is now the biggest single-story public library in the United States and it is thriving. The opportunities for repurposing big box structures do not have to be limited to a one-for-one tradeoff, though. With such a massive amount of space, a single structure could be converted into several smaller spaces, offering increased opportunity to local and small business owners, and injecting the surrounding community with a truly unique experience. That was the case on a project INTEC Group completed in Ellicott City, Maryland. 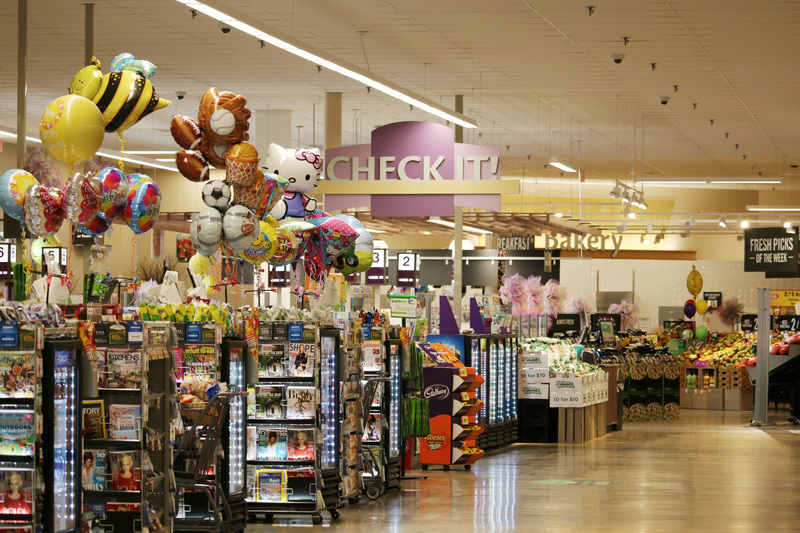 There, we took a single big box location and sub-divided it into several smaller retail spaces, including an anchoring grocery store, a Pet Smart and more. The former tire repair and garden sections of the big box store became leasable space to tenants, to bring a diverse offering of retail experiences to the community. What was once a single large store became an entirely new shopping center. At INTEC Group, we have an ethos of not being constrained by convention. When it comes to repurposing buildings this large, we try to figure out how we can make them more environmentally minded and sustainable, while involving the surrounding community on a more personal level that engages them beyond shopping. Picture a farmer’s market that also includes small or pop-up restaurant spaces, a coffee shop, a kitchen boutique, a butcher and other local artisans. Take the idea a step further and envision an indoor farm. An enclosed 100,000 square foot space could be outfitted to include separate climate-controlled environments powered by solar panels or wind turbines, with captured rainwater to sustain the crops. This isn’t just us dreaming big about the untapped potential of a large project; this is actually where consumer demand is headed. 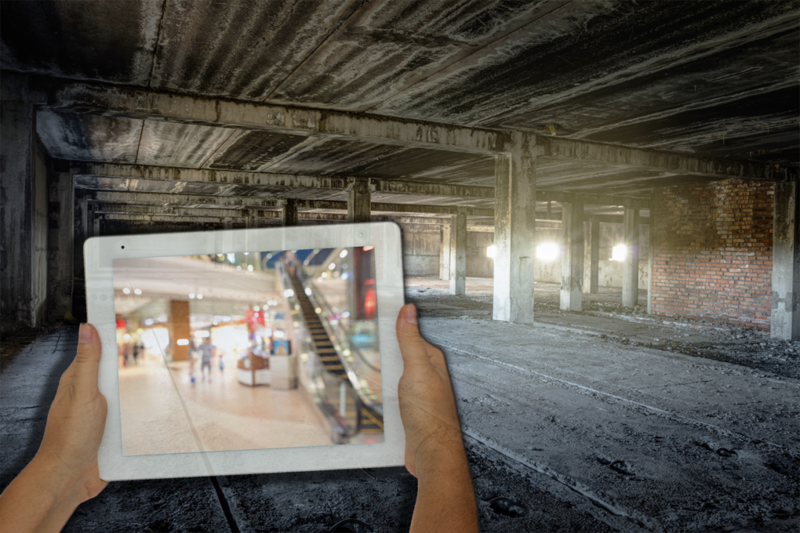 Many of today’s shoppers, particularly Millennials, prefer a one-stop shop location, but not a one-size-fits-all experience. This also applies to the traditional office space. Gone are the 9-5 banker’s hours and, with that, the ideals of set schedules or set spaces. Our team recently completed work on an old Coca-Cola bottling plant that had been converted into an electrical warehouse. To convert it into a modern office, skylights were used to bring in natural light. Rather than dividing the space with true walls, storefronts up to 12 feet in height were utilized to provide physical separation. This multi-tenant space also featured shared conference rooms or huddle spaces and amenities for all. The possibilities aren’t limited to just office and retail. Community event spaces, indoor playgrounds, hotels, galleries, breweries and more are just some of the opportunities afforded by big box structures to create a true mixed-use destination. 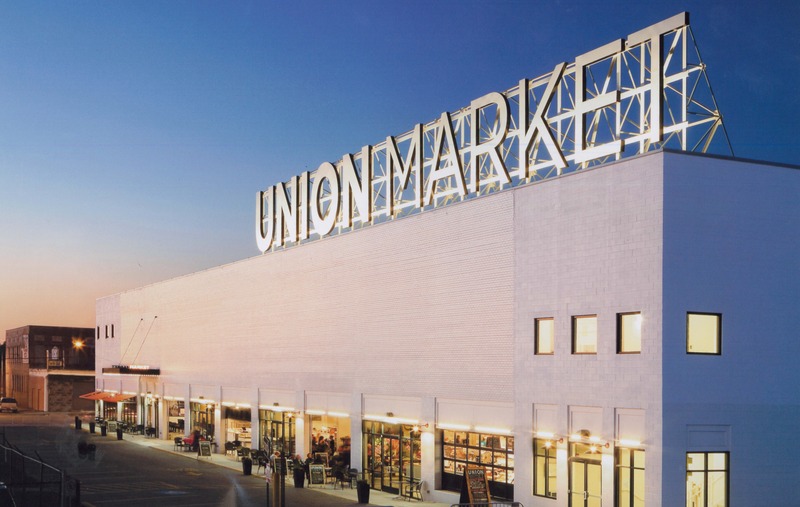 One such example is the new life we helped to breathe into Union Market in Washington, DC. This stunning transformation took a run-down and ignored space, and created one of the city’s most sought-after destinations, featuring an eclectic mix of unique fine dining and shopping, along with a drive-in theater and the popular Dock 5 event space. Now, everyone from families to foodies to socialites to hipsters can find something they love in one convenient location. Our society was transformed by the vehicle and travel that created the suburban sprawl of the mid-twentieth century. We now have the opportunity to park those cars and get back to the destination appeal of the original city. At their inception, big box stores were built beyond city limits, but as those limits continued to grow, these buildings were absorbed back into more urban environments. With spaces this large looming in the city landscapes, the possibilities for creating destination spaces with multiple functions is endless. What do you imagine for these spaces? We’d love to hear from you. Start the conversation on Social Media with #newthinkinginsidethebigbox and #bigboxrepurpose! Don’t forget to tag us!